Weight loss, weight loss, scream voices in our heads every single time we look into the mirror. However much we know, theoretically, that there’s no need to strive for the model body, we can’t help a sinking in the pits of our abdomens when we see flab wobbling through our kurtas. Now what? Do we go on crazy diets again? Or join an aerobics class in the hope of loosening fat layers? You might have to because losing weight is hard work. Or you could just do what Sonakshi Sinha did and see if it works for you. Whichever you like. 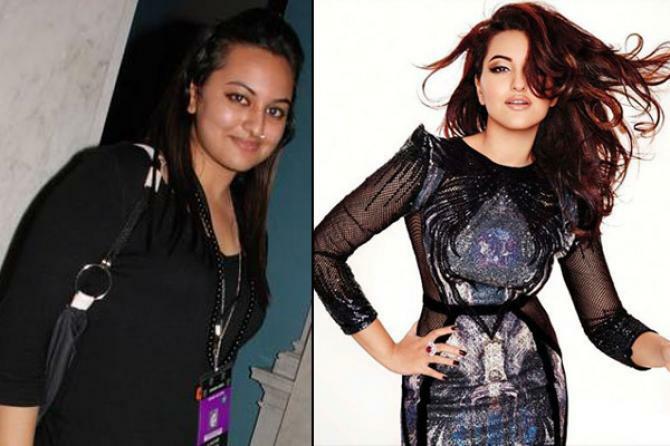 From chubby to lean, Sonakshi Sinha has left everyone in awe by dropping off a few kilos. Her current transformation has left many of her fans wondering how she did it, and how they could do the same for themselves.